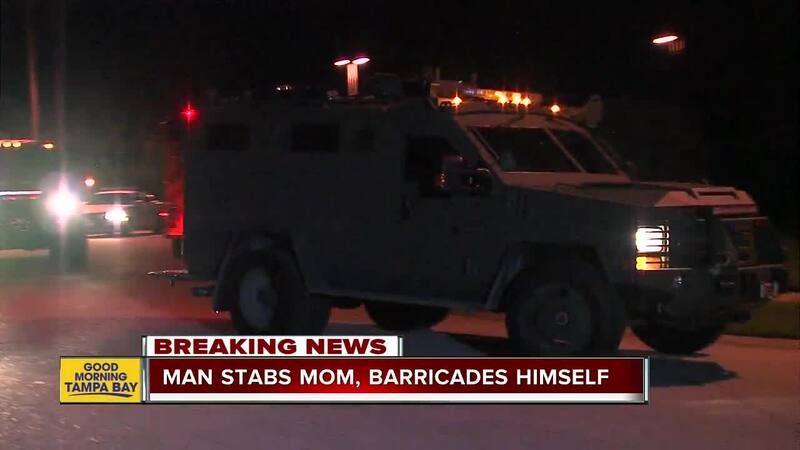 After stabbing his mother multiple times with a screwdriver, a man barricaded himself inside a Lutz home Tuesday morning, according to the Hillsborough County Sheriff's Office. 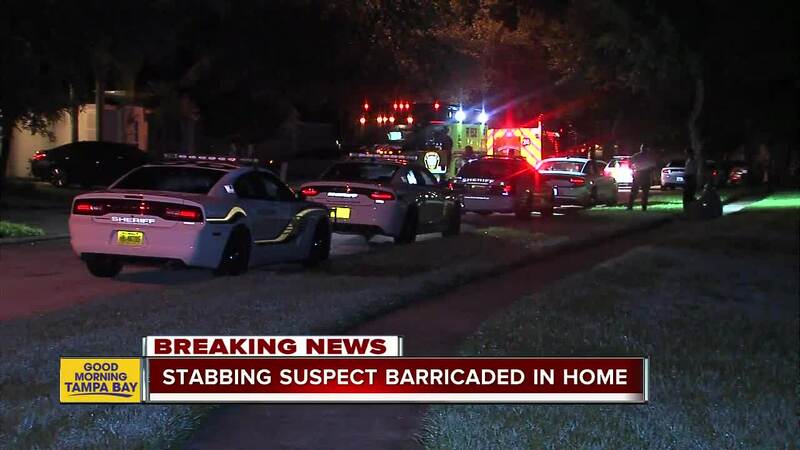 LUTZ, Florida — After stabbing his mother multiple times with a screwdriver, a man barricaded himself inside a Florida home Tuesday morning, according to the Hillsborough County Sheriff's Office. 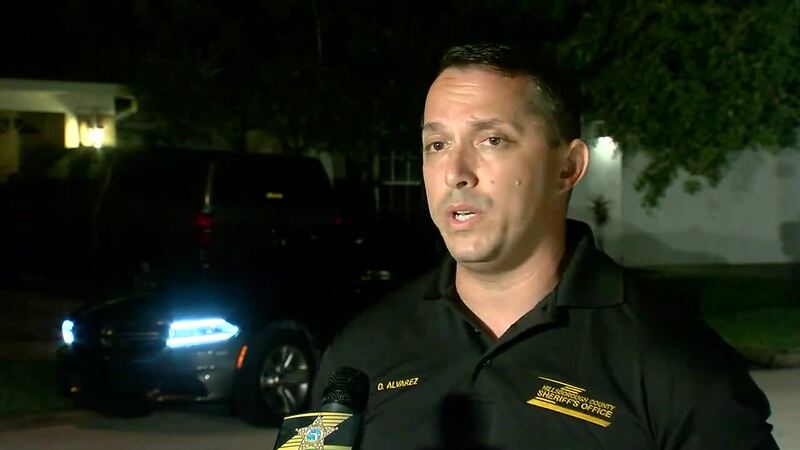 During a news conference, HCSO PIO Danny Alvarez said deputies responded to a home on Garden Quilt Circle in Lutz after receiving a call at 1:27 a.m. local time about a "suicidal subject." After deputies arrived, they found a woman with multiple stabs wounds and a man with a stab wound to his neck. When attempting to determine what was going on, the man, 41-year-old Serkan Ceylani, ran into the home and barricaded himself inside the bathroom. Deputies said they immediately evacuated Ceylani's family, which included his mother, his mother's husband, his wife and a child, from the home. Neighboring homes were also evacuated. After interviewing Ceylani's family, deputies determined Ceylani had stabbed himself and his mother with a screwdriver. SWAT and crisis negotiators were called to the scene to help make contact with Ceylani. After attempting to talk to Ceylani through the bathroom window and him not being responsive and cooperating, the SWAT team broke the window, deployed two cans of "tear gas" and used a taser to put him into custody. Ceylani's mother was transported to St. Joseph's Hospital Main where she is being treated for multiple stab wounds. She is currently in stable condition. Ceylani was also transported to St. Joseph's and is being treated under a trauma alert for the stab wound to his neck. His condition is unknown. At this time, HCSO is attempting to issue a warrant to search the home the stabbing occurred in. Deputies said Ceylani has no prior criminal history with their agency.